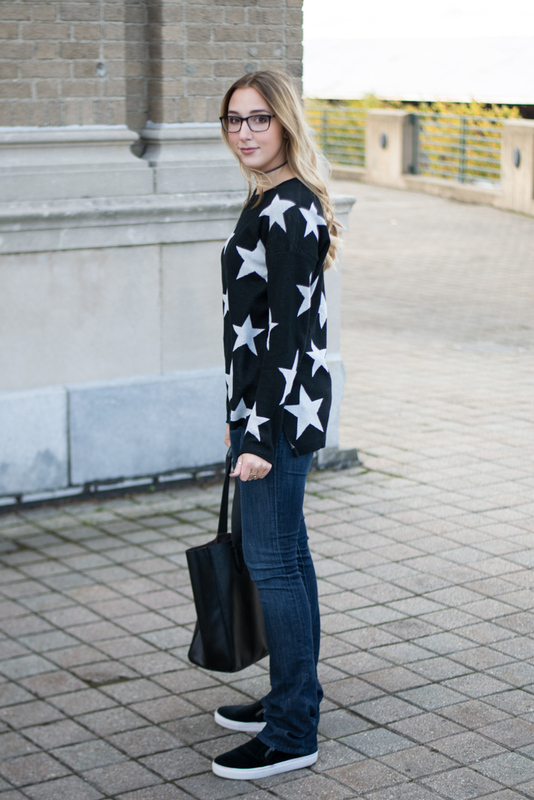 I'm so excited to share this printed star sweater with you! I've been wanting a star printed top for awhile now since I'd seen it as a trend a few months back, but every printed piece I saw was well over $100 dollars & I just couldn't justify the price on such a trendy piece. This sweater comes in just under $50 and is such great quality! The sweater has a very thick knit and keeps you warm- I wore this yesterday when it was high 40's and I wasn't shivering! Although my hands were quite cold! I paired this top with my current favorite jeans- the cut of them is called a "baby bootcut" which basically means its a smaller leg opening than a normal bootcut but not a skinny jean. I love these because they're super flattering & really help to elongate your legs! 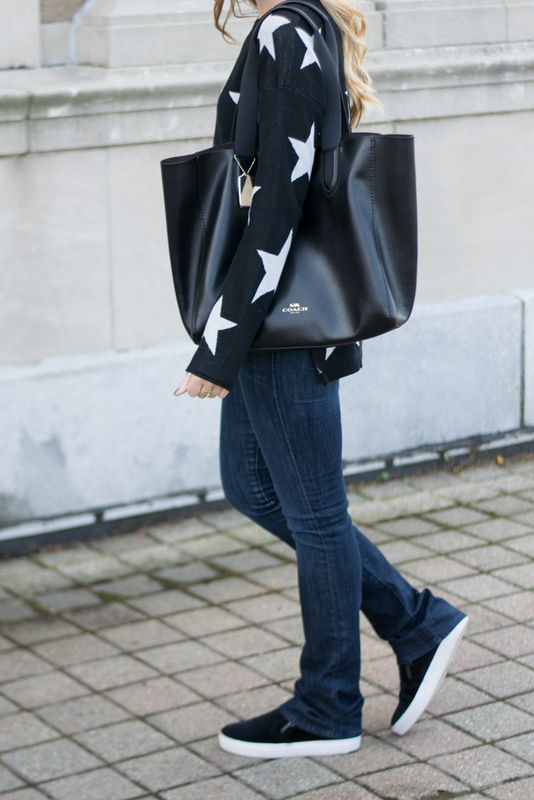 To finish this comfy outfit off I wore my favorite slip-on sneakers- I love that they are velvet as it makes them feel more appropriate for the cooler months. 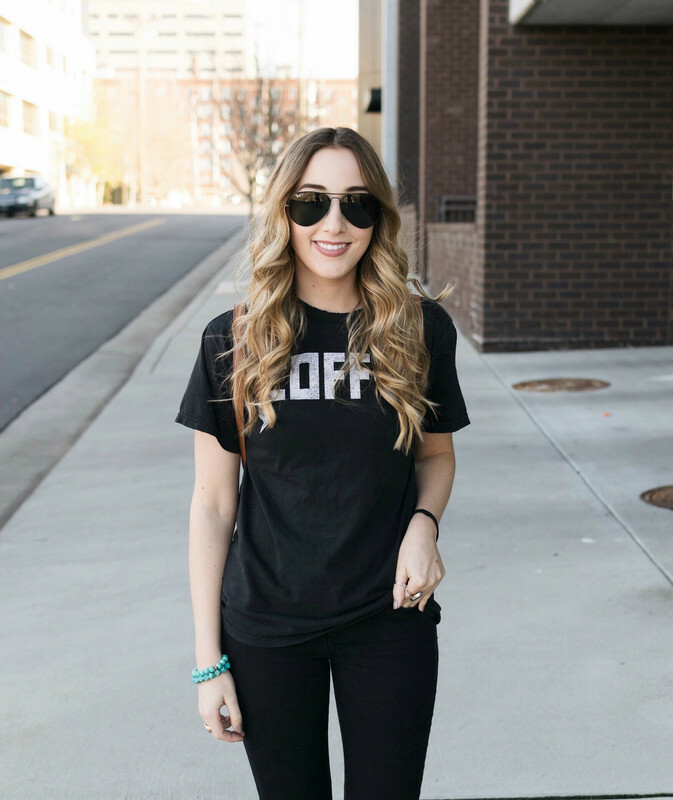 This outfit is perfect for running your weekend errands or heading out for a girls day of shopping! What prints are you loving? This is such a cool outfit! I love the sweater! The length of this sweater is so perfect! Loving cozy pieces like this for fall. Loving those shoes! I cannot stop buying black and white slip on sneakers! What a darling sweater! I saw one over the weekend that was similar but in silver. It's always the best to find something you're looking for at such a bargain price- yay!!! I love your sweater & how you paired it! This sweater is so cute on you! Love it. I love that sweater! So cute. That tote is adorable as well. 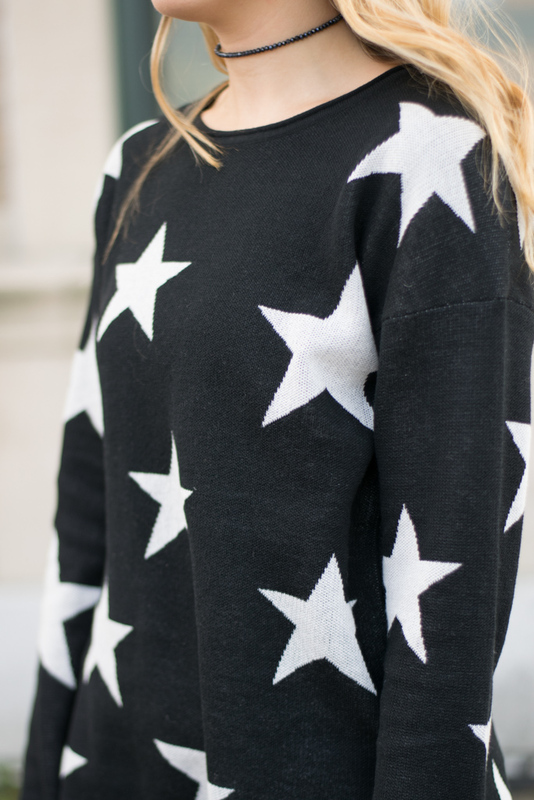 Ohh I have a star sweater that I just got to wear! Lol-thanks for the inspo. I love the baby bootcut! Those styles are good for someone short like me. Love this sweater! 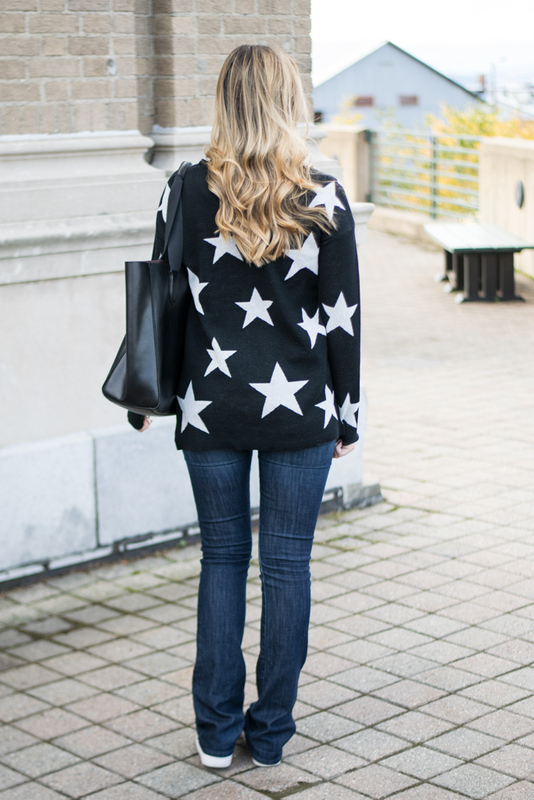 I agree I really like the star pattern too, this is a great sweater!